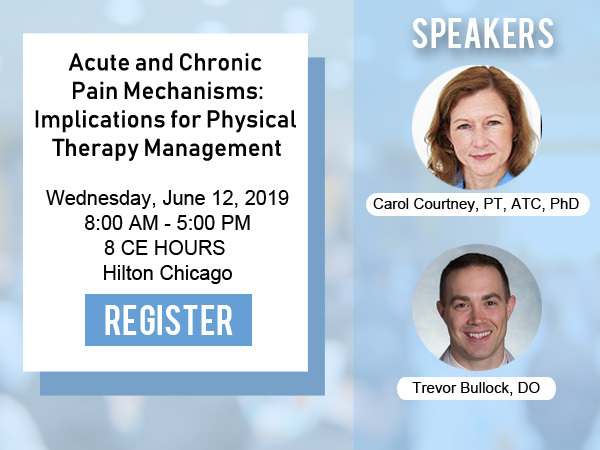 Prior to the kick off of APTA's 2019 NEXT Conference & Expo, the IPTA is sponsoring a pre-conference course that is sure to draw the attention of physical therapy professionals nation-wide! Regenerative medicine is showing new promise in treating pain resulting from orthopedic injuries. The first part of the course will include an in-depth study of the medical options in regenerative medicine including: an overview of chronic pain from orthopedic injuries, current procedures and advancements in regenerative medicine and the future of regenerative medicine. REGISTER FOR THIS PRE-CONFERENCE COURSE TODAY! Please note, registration for APTA's NEXT Conference is NOT required to attend. You may register to attend this pre-conference course separately. Share this event page with your colleagues and coworkers. You may register online by visiting www.apta.org/NEXT or download the registration form (.pdf).